Answering yours of the fourteenth instant. I, at no time agreed the contract be terminated forthwith. Your statement, you have not been able to secure my cooperation is pure fabrication and subterfuge. I am still under contract with you, and I am prepared to continue under contract to expiration date. 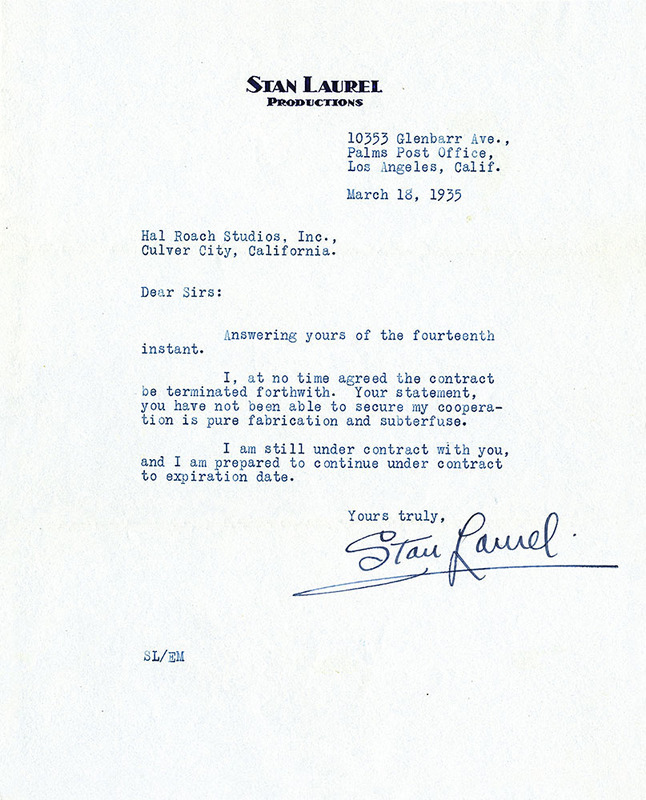 In the midst of mounting marital problems at the onset of 1935, Stan’s contract at Roach was about to expire, and he didn’t care for the new provisions the studio wished to incorporate into their agreement. Roach insisted on including a morals clause—perhaps not unreasonably, given the amount of time and negative publicity generated by Stan’s very public marital difficulties. 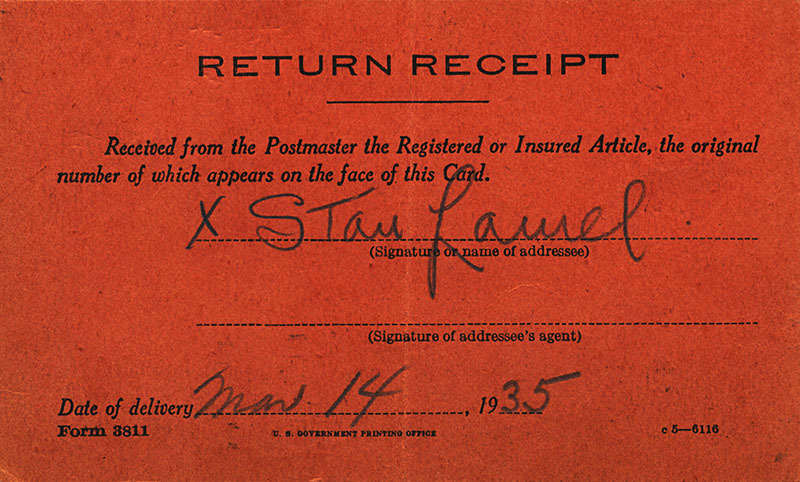 As a solution, Stan formed the Stan Laurel Productions, which had a non-exclusive contract with Hal Roach Studios.